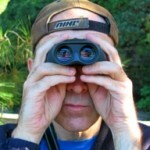 Bird watchers everywhere are gearing up for the Great Backyard Bird Count 2011. 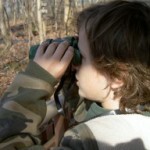 This weekend, February 18-21, 2011, bird enthusiasts will be out counting birds in their different areas. They will be looking for some 600 species for the yearly Great Backyard Bird Count. Bird watchers from the United States and Canada will be participating in the bird count. The purpose of the count is to get an immediate idea of the birdlife throughout the two nations. It’s very easy for everyone and anyone to join in with the backyard bird count. The rules are simple! Visit The Great Backyard Bird Count for instructions and to download a helpful checklist of birds that are likely to be seen in your area. 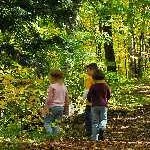 Spend 15 minutes, any of the four days (February 18-21), counting the largest number of each species in your backyard at one time. Then go to BirdCount.org and enter your findings. 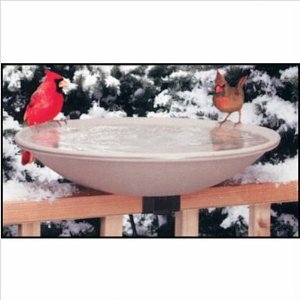 The 2011 Great Backyard Bird Count is organized by the Cornell Lab of Ornithology, Audubon and Bird Studies Canada. Last year they recorded over 10 million observations and are hoping to have many more this year. numbers from year to year. This valuable information collected from the many folks that take part in the Great Backyard Bird Count is huge in signaling early problems in the bird population. The Great Backyard Bird Count is a fun activity and at the same time produces much needed data for the Cornell Lab of Ornithology, the Audubon Society and Bird Studies Canada. So, grab your bird watching binoculars, checklist and pencil and have a great day participating in the 2011 Great Backyard Bird Count this year. Leave a comment and let us know what birds and how many birds you saw in your area. Bird watching is called birding. The first term birding was used for the practice of fowling or hunting with firearms. Bird watchers are also called twitchers in some parts of the world. More and more people are travelling long distances to spot rare species of birds. Bird watchers and twitchers usually have goals of spotting different species on their own life list. 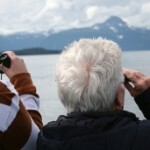 Some bird watchers look at bird watching as a healthy competition. They aim to get or accumulate the longest species list. The act of pursuing a rare specie is called a “twitch” or a “chase”. Interest in observing birds can be traced back to the early 1700’s in the works of Gilbert White, Thomas Bewick, George Montagu and John Clare. In Britain, during the Victorian Era, it was fashionable to collect eggs and later skins as artifacts of interest. Wealthy collectors even had contacts in colonies that would collect and ship the artifacts for them. By the 1800’s, many thought that collectors went too far. Bird hats were all the rage. But, Harriet Hemenway took the lead in fighting the millinery trade or feather industry. She went on to shut down the interstate bird skin trade. She later founded the Massachusetts Audubon Society. Rosalie Edge, another bird watcher and naturalist, went as far as to buy Hawk Mountain, in Pennsylvania, and turn it into the first sanctuary for birds of prey. The call for bird protection began in the late 1800’s. Observation of living birds became more popular. The Audubon Society was started to protect the birds from the growing bird trade. The term bird watching was first written in the title of the book “Bird Watching” by Edmund Selous in 1901. The rising popularity of bird watching and the use of cars increased the mobility of birdwatchers. New locations were made more accessible to those interested in birds. Networks of birdwatchers in the UK began to form in the late 1930’s under the British Trust for Ornithology. The BTO saw the potential to produce scientific results through the networks, unlike the Royal Society for the Preservation of Birds (RSPB) which like the Audubon Society originated from the bird protection movement. With the falling cost of air travel in the 1980’s, many interested and avid bird watchers were flying to remote birding destinations to spot many different and unique species of birds. There are an estimated 80 million Americans into bird watching. More and more people are showing an interest in taking part in this recreational activity. Birds are one of the most magnificent living things. They are probably among the best loved animals in the world. We are captivated by their colorful form, intelligent actions and cheeky mannerisms. In the United States there are about 550,000 members of the National Audubon Society of America. The U.K. has over 1,000,000 members. Members are dedicated to protecting birds and they do bird watching to monitor them. There are about 10,000 living species of birds. 2,000 species have been seen in North America (from Panama north and including the Caribbean), 925 in the United States and Canada, 3200 in South America, 2,300 in Africa, 1,000 in Europe, 2,900 in Asia, 1,700 in Australia and 65 in Antarctica. The contenders for the most common bird in the world are: the Red-billed Quelea, Red Junglefowl (domestic chicken) and the European House Sparrow. It is difficult to say which bird is the rarest. A couple of examples are the the Sudanese Red Sea Cliff Swallow (Hirundo perdita) seen once in 1984 and the Orange-necked Partridge (Arborophila davidi) seen once in 1927. Other birds are known or believed to be extinct in the wild but still have representatives living in captivity. One is the Spix’s Macaw (Cyanopsitta spiscii) hunted to the brink of extinction to satisfy the foolish demands of the pet trade. Unfortunately, there are about 115 species of birds that are known to be extinct. The reason for extinction is mainly human interference. There are efforts to make up for the mistakes done in the past. At one time there were only 4 wild Mauritius Kestrels. But, thanks to human effort, its numbers are back around 300. Another example is the California Condor, during 1987 there was only one male left in the wild and 27 condors were in captivity. 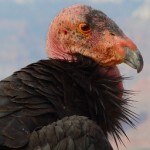 As of August, 2010, there are 384 condors known to be living, including 188 in the wild (Wikipedia). The largest bird can be measured in three possible ways-weight, height and length of wingspan. Unfortunately, all of the record holders for these three categories are already extinct. The heaviest bird was the Dromornis stirtoni from Australia. This flightless giant lived millions of years ago and probably stood nearly 10ft/3m tall and weighed in at a massive 1100lb/500kg. The tallest bird ever, as far as we know, was the Dinornus maximus, a Giant Moa from New Zealand. And the bird with the longest wingspan was the The Giant Teratorn Argentavis magnificens) which had a wingspan between 19.5ft/6M and 25ft/7.5m and was in the United States. The largest living bird is the Ostrich. In Africa, the Kori Bustard, is the heaviest flying bird weighing in around 42 lb (19kg). Meanwhile, the smallest bird is the Bee Hummingbird from Cuba. We learn so much from birds. Bird watching is more than just watching birds. It is observing and learning from them in nature.